I must say the service was fantastic with the speed of the process of you finding a towing company. I received a phone call from the towing company with in one working day of the on line form being submitted. And what a pleasant experience dealing with him making arrangements for a tow date. I hope there was a reasonable amount being donated for the car. I truly believe this a great organization and will use and recommend this service to anyone who asks. 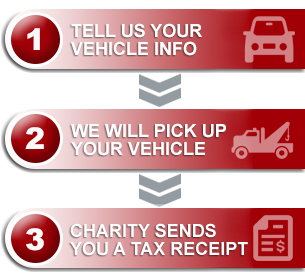 Thank you Donate A Car Canada.